In early 1850s Ernest-Narcisse Lobbé, a Parisian watchmaker and mechanic, created one of the first keyboard calculating machines in the world (after the machines of James White, Luigi Torchi, Jean-Baptiste Schwilgué and Du Bois D. Parmelee). 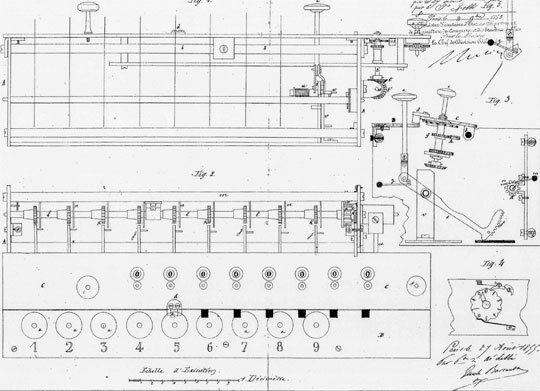 The machine (so called Additionneur mécanique à touches) was patented in 1855 (French pat. №24582 from 04/11/1855, see the lower patent drawing). This one column adding machine seems to be very well designed, but it remained only on paper and nothing is known about the device and the inventor—Ernest-Narcisse Lobbé.